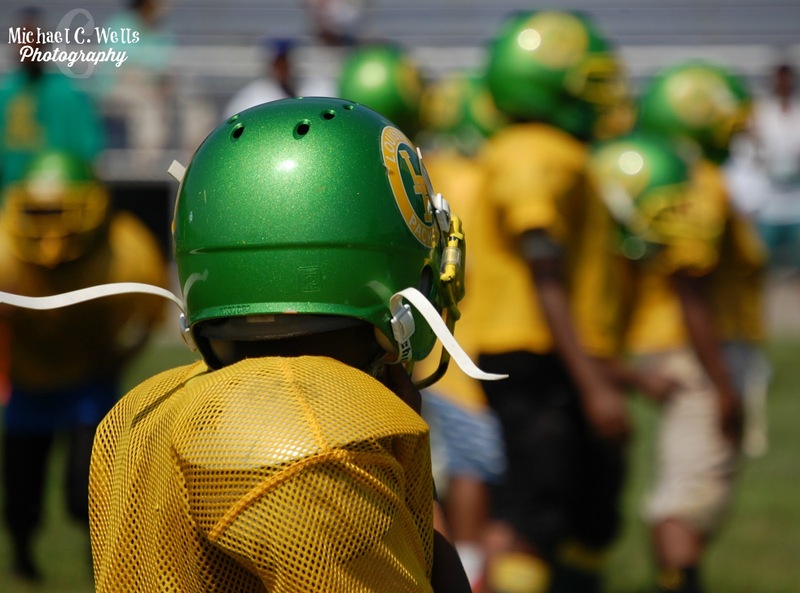 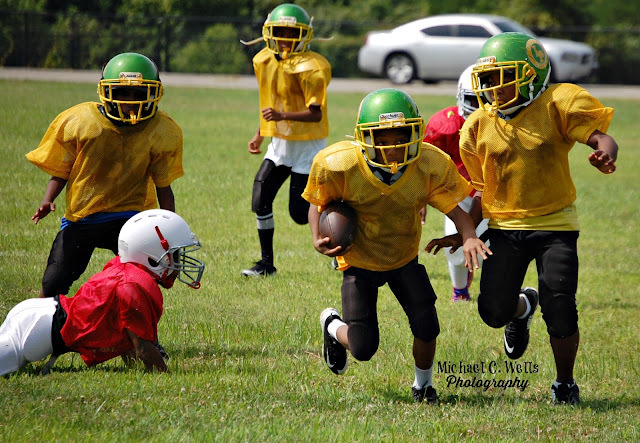 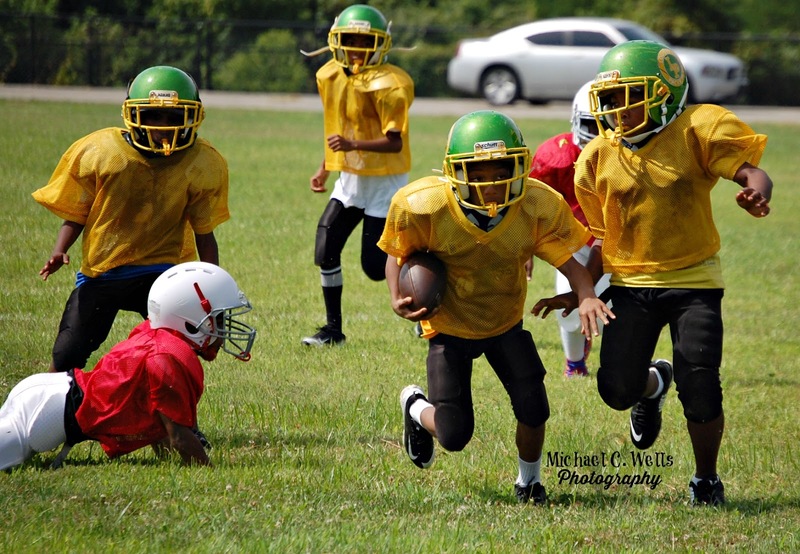 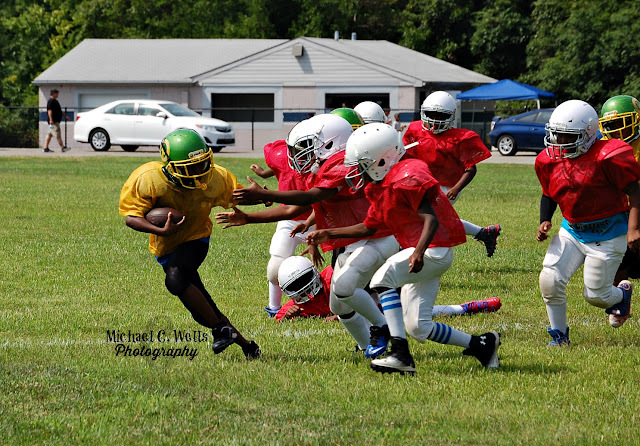 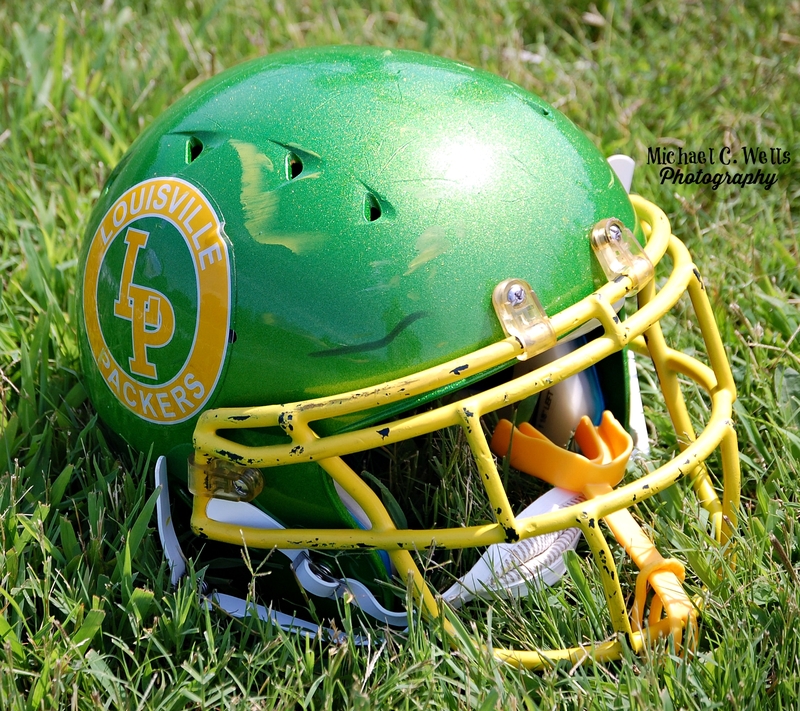 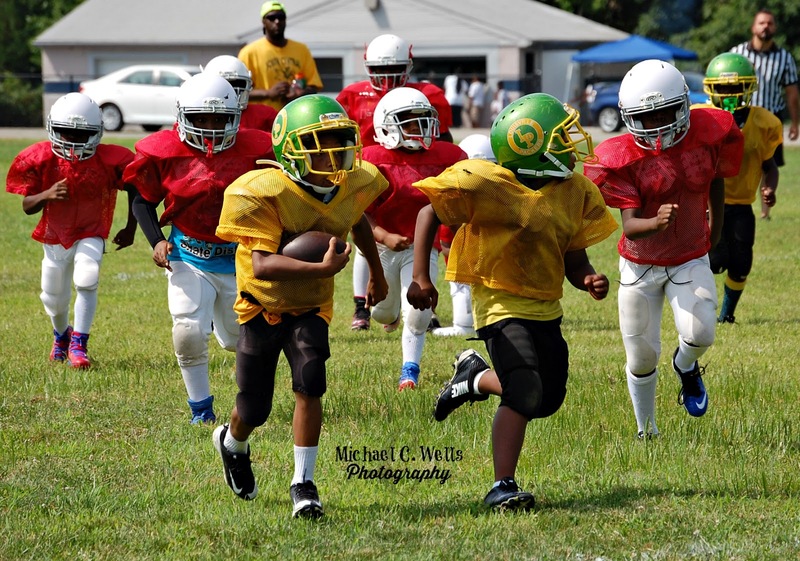 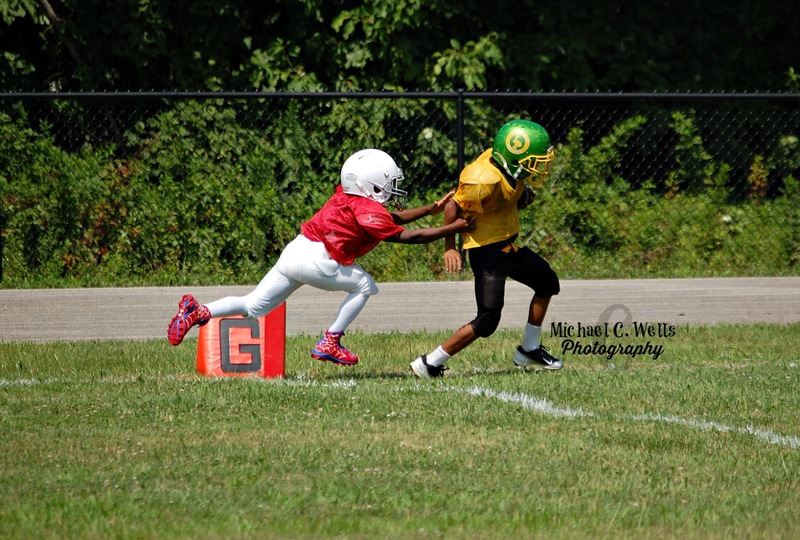 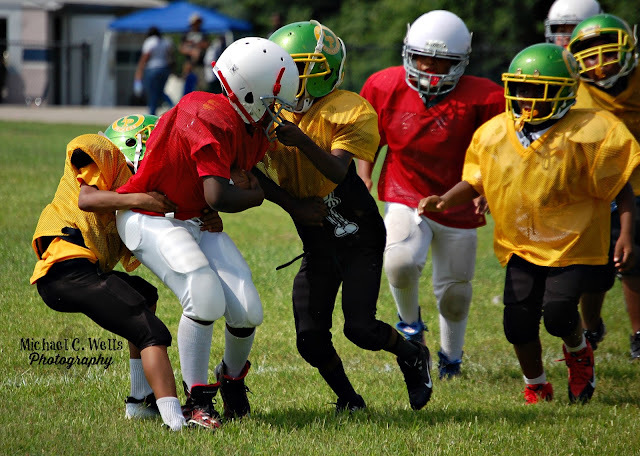 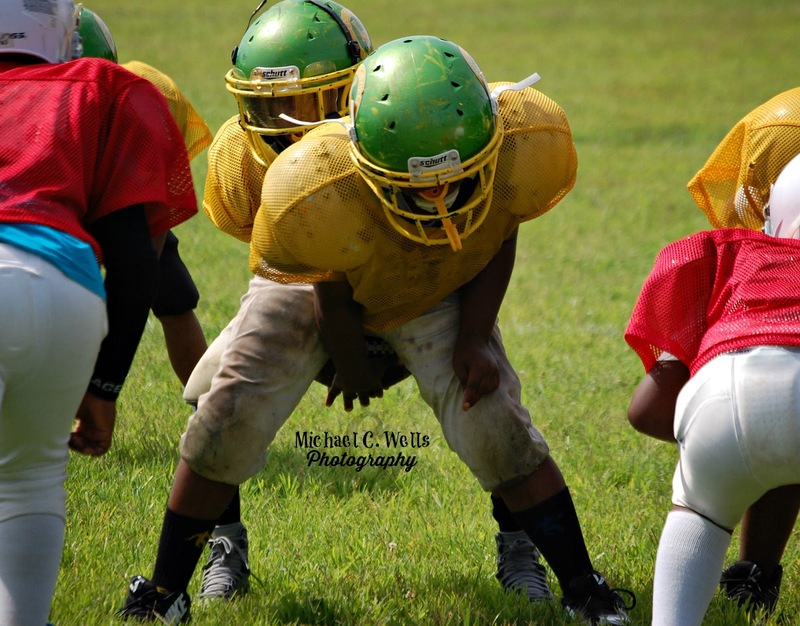 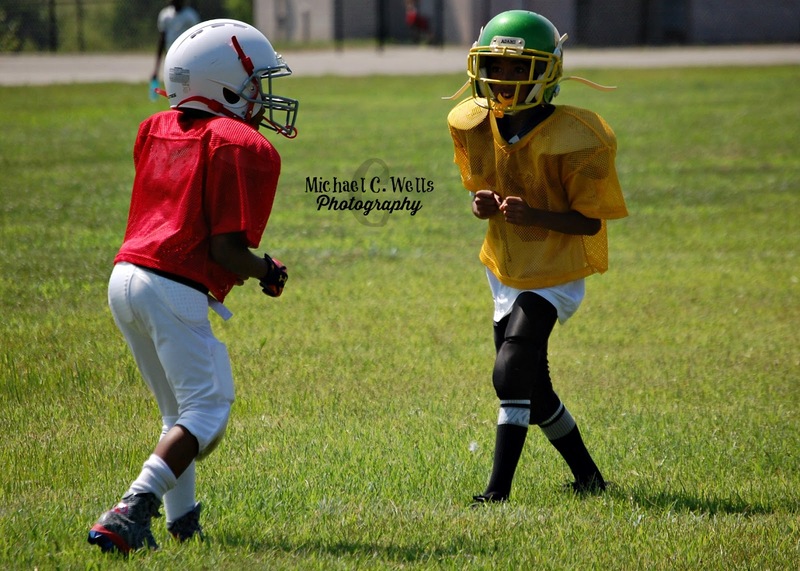 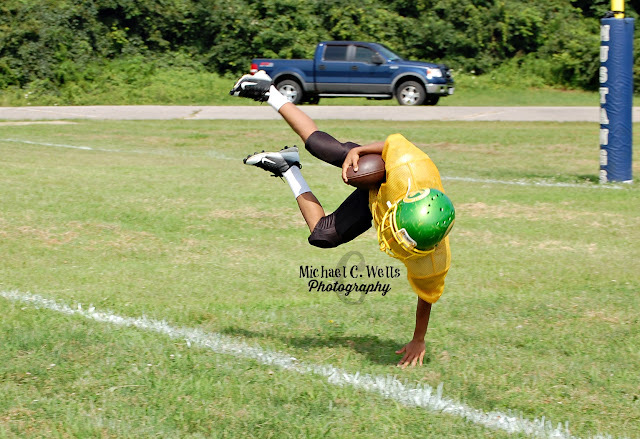 The Pee-Wee Louisville (South Central) Packers beat-up on the Pee-Wee Louisville Patriots today at Moore Traditional School in a pre-season scrimmage. 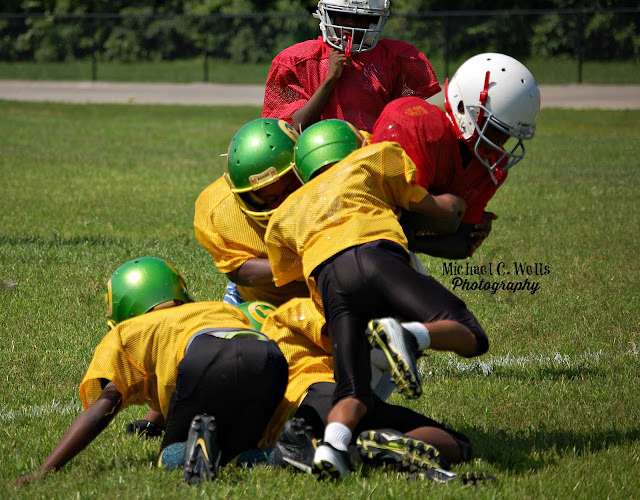 The Patriots gave up four turnovers, three coming on their first three possessions. 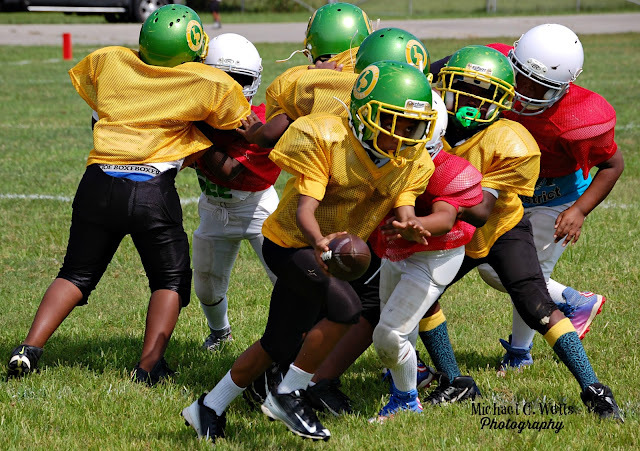 With the Packers only turning the ball over once, the Patriots practically handed the scrimmage over to the Packers. While the Packers defense caused turnover after turnover, the offense was able to score twenty points on a rather weak Patriots defense, giving the Packers the 20-0 win in the pre-season scrimmage.